An SQL database is a middleware program that allows communication between a website and a database to optimize search results. Essentially, SQL (Structured Query Language) systems allow you to better store and access information. 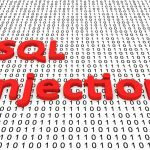 How Can an SQL Database Help? While many people today confuse the terms data and information, data refers to specific facts: names, numbers, dates. 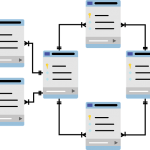 An SQL system will help you better contextualize that data and transforming it into information. For instance, if you a customer last purchased from your company in March, 2017, that piece of data tells you nothing. But if you have a database that tracks past purchases and you can see that they traditionally purchase monthly, the sudden two-month gap tells you that their account has become inactive and that you should consider reaching out. With an SQL database, you can even design your search query to pull up all accounts that have not purchased within the last month, to get a better idea of any patterns and better diagnose the cause of these businesses to suddenly drop-off. Imagine discovering that the clients you are losing belonged to a single account manager who is no longer with your business, who maybe no one had thought to reach out to. In this case, an SQL database is helping you to discover small oversights you might have made. 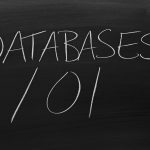 How Can You Create an SQL Database? Building a functioning database can be difficult, however. In order to maximize your databases function, it is recommended that you speak to SQL database consultants or an SQL database designer. Not only will utilizing a professional team help maximize the efficiency of your database and your team, it will also teach you the basics of SQL database security — a vitally important issue as cyber attacks can have a detrimental effect on your business. In fact, 60% of small businesses are forced to close withing six months after a cyber-attack. SQL consulting companies can help you revolutionize the way your business interacts with data and help you realize your maximum efficiency. 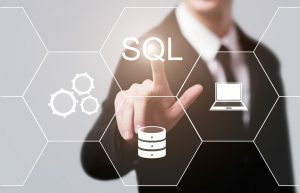 If you have any questions about SQL database administration services or SQL database design, contact the expert SQL database consultants at Kingfisher Technologies today.